Nowadays students as well as teachers, sometimes, struggle with learning more efficiently and not so mechanically. With the Live Scribe Smartpen you can do that and a whole lot more. 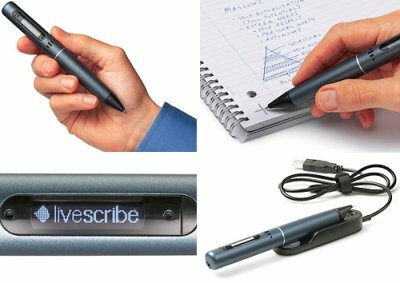 This awesome little pen not only allows you to record and link the recorded audio onto paper but also solves your problems with keywords? Just tap on a specified word and it will replay the audio that was recorded when you writing. Transferring your audio is simple as well to your PC, replay, and sharing with your fellow students as well. Unfortunately this pen is not going to give your answers for that big mid-term, so you better take good notes! Available for preorder on the Live Scribe website. The Nokia N77 Now in India!